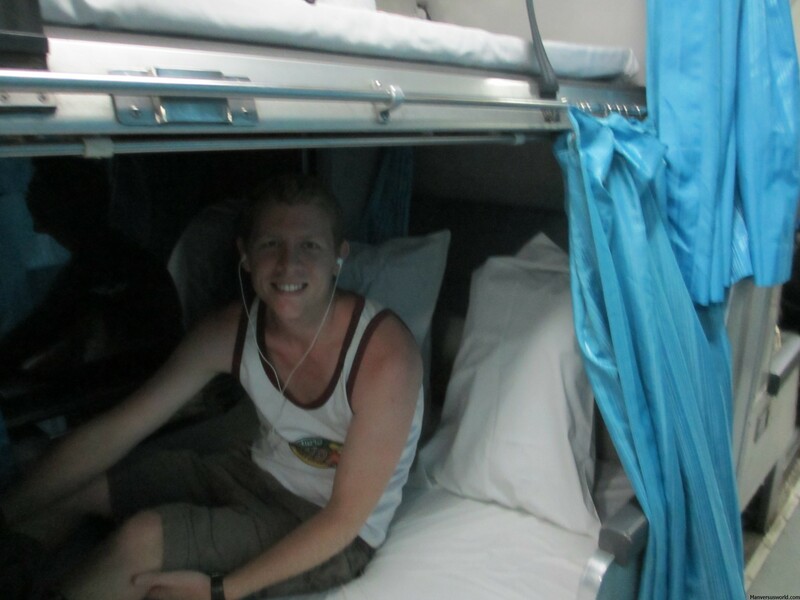 I was warm and cosy in my little fort, racing through the night on a train bound for Chiang Mai in northern Thailand. Every now and again I’d look out the window and watch the countryside rush past, content in the fact that this was a hell of a lot better than catching a sleeper bus. I was having so much fun, snacking and lounging, pretending that I was on a spaceship on its way to Mars, that I almost forgot to sleep; a problem I never encountered on sleeper buses in either Laos or Vietnam. On those journeys all I could think about was getting some sleep, some respite from the sounds of traffic, the bouncing around and the stiffness in my joints because my seat was designed for a much smaller man. And that, my friends, is just the first reason why a sleeper train in Southeast Asia is far superior to a sleeper bus: the train will not leave you feeling suicidal when you finally get to your destination. I said it before in my guide to Vietnamese sleeper buses and I’ll say it again: I’m not a tall man, nor am I short one – but in Asia I’m like a big fat giant when compared to the average man on the street. Suffice it to say, Southeast Asian sleeper bus weren’t really designed with my frame in mind. I’m both broader and taller than the average Vietnamese, Laotian, Cambodian and Thai, so bus drivers would often stick me down the back of the bus where the seats are a little bit longer. Now that was very kind of them but there are three main problems with being stuck down the back: you’re more likely to bounce around all night because you’re sleeping right on top of the rear axle; the toilet is at the back of the bus so you’ll have to put up with the door slamming open and shut every couple of minutes or so (not to mention the smell); and, finally, you’ll be the last one off the bus. You won’t encounter the same problem on a sleeper train in Asia, where the only thing to bear in mind is that the beds on the bottom are likely to be a little bit bigger than the ones on top – and they often cost a little bit more as a result. It comes as no surprise that sleeper trains are considerably more expensive than sleeper buses in general – but you may be surprised how quickly the trains sell out in Vietnam in particular, where you’d do well to book your journey on the Reunification Express at least two days before departure. Meanwhile, it’s better to be a solo traveller on a sleeper train than a bus, where you may be forced to get up-close and personal with whoever you end up sitting next to on some sleeper buses. However, life on a sleeper train isn’t always fun and games. On Thai sleeper trains you’ll have to wait until after dinner for the train’s crew to make up your bed, at which point it’s only the most vocal who will have their beds made up first, and you will be woken up to two hours before you arrive at your destination so that the crew can unmake the beds again in the morning. Annoyingly, on some sleeper trains the lights won’t go out at all – a huge inconvenience for people sleeping on the top bunk. In either instance – sleeper bus or sleeper train – you’ll want to bring plenty of water on board, some snacks, warm clothes and an iPod, Mp3 player or some good old-fashioned earplugs. Be careful with your carry-on luggage as it’s not unheard of for things to go missing during the night; in fact, I’ve even heard stories of backpacks and rucksacks going walkabout in the middle of the night – but there isn’t a lot you’ll be able to do about that, besides keep all your valuables on your person. 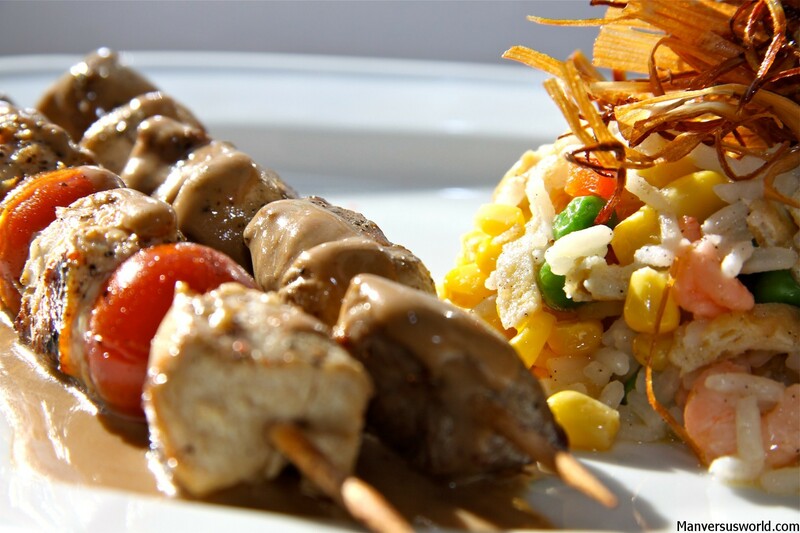 The meals on sleeper trains are generally inexpensive but cost slightly more than they do on steady ground. You can often save yourself a little bit of money by walking to the dining car to order your meal rather than by ordering from the man in your carriage (you’ll know who I’m talking about within a couple of minutes of taking off from the station). In my time I have caught more South East Asian sleeper buses than trains due to the budget I was on backpacking through the region but there is no doubt in my mind that the latter is the superior mode of transport. However, some sleeper buses are in fact superior to others. Buses in Laos, weirdly, are usually a lot better than their Vietnamese counterparts, with an additional level to the bus allowing for larger beds and more cushioning. A good rule of thumb to remember is you often get what you pay for – and the destination is almost always worth the journey. 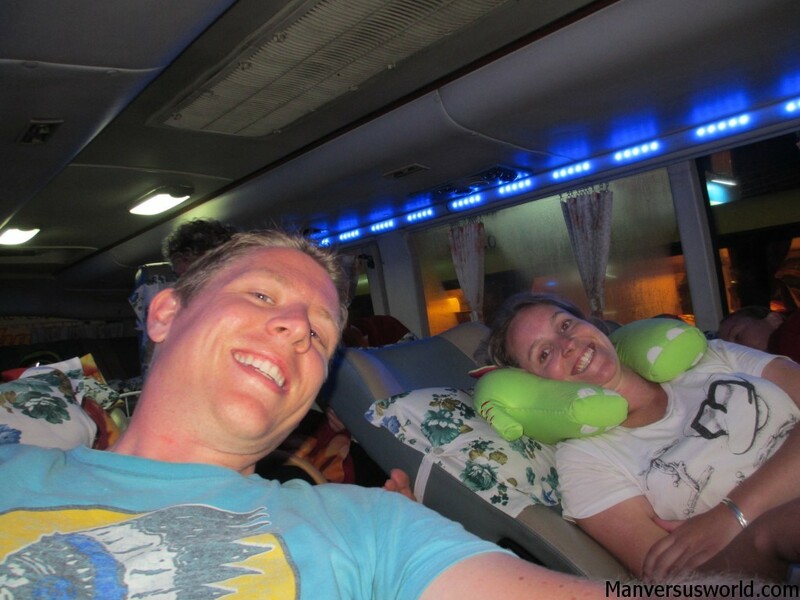 For more hints, tips and advice about sleeper buses do check out my handy guide to Vietnamese sleeper buses. trying to book sleeper trains through malaysia and thaliand via the ktm website…any pointers on why i cant find them please. looking ion the wrong place, booking too far ahead, website doesnt do the overnight sleeper service…generally being special im not ruling out here. but any help is welcome please. I am an Indian. I am 5’9″+ and I’ve never had difficulty sleeping in any of India’s buses or trains. Even the side lower and upper berths(the most cramped ones). If you are anything upto around 6, you are not considered a giant in India, not sure about the fat part. Yes, the average height is certainly below 6 but you’d blend in just fine. Fair call, mate. I’m just talking about Southeast Asia here. I do know some people from India and Pakistan that are my height or even much bigger! Cheers for reading. 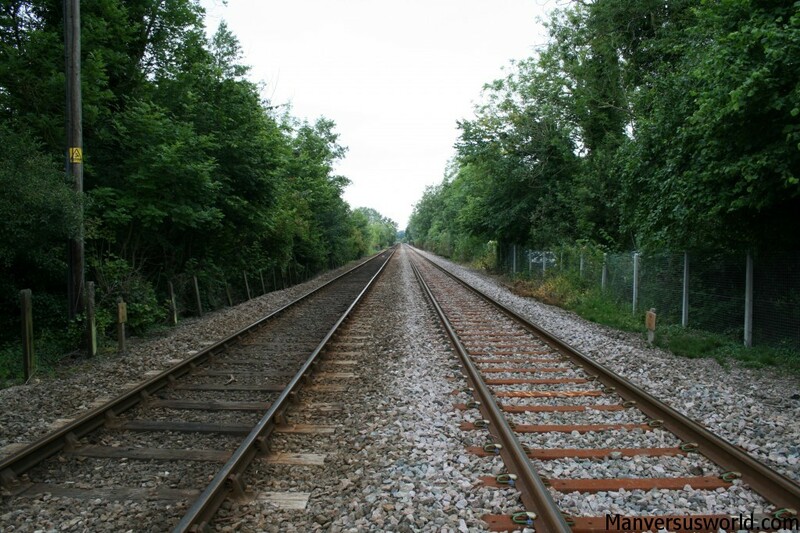 Totally agree that the trains are much more comfortable…. Except when there’s a landslide in the rainy season, and the carriage waiter wakes you up at 5AM to say that you’re going to have to get off the train 4 hours short of Chiang Mai and take a bus. 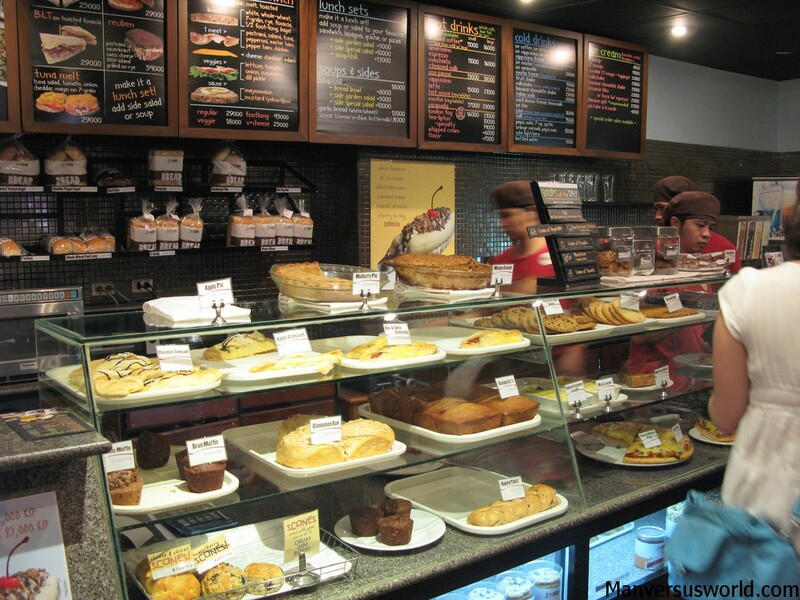 Then he tries to strong-arm you into ordering breakfast, because, there won’t be breakfast on a bus (he says). You pull yourself out of your bunk, get on the bus and 30 minutes later it overheats and breaks down going up a hill. You wait another hour for another bus to come and pick you up, and finally make it to Chiang Mai 5 hours later. Yet the 5 hours of sleep were probably more than I would have gotten on the bus! Ah, Southeast Asian sleeper buses. How I don’t miss you. I’m only 5’2″ tall and the sleeper buses were too small even for me! They weren’t sleeper buses so much as “lay horizontally through the dead of night” buses. They are indeed awful. If only there was enough interesting stuff to see between destinations and then we wouldn’t have to travel through the night! 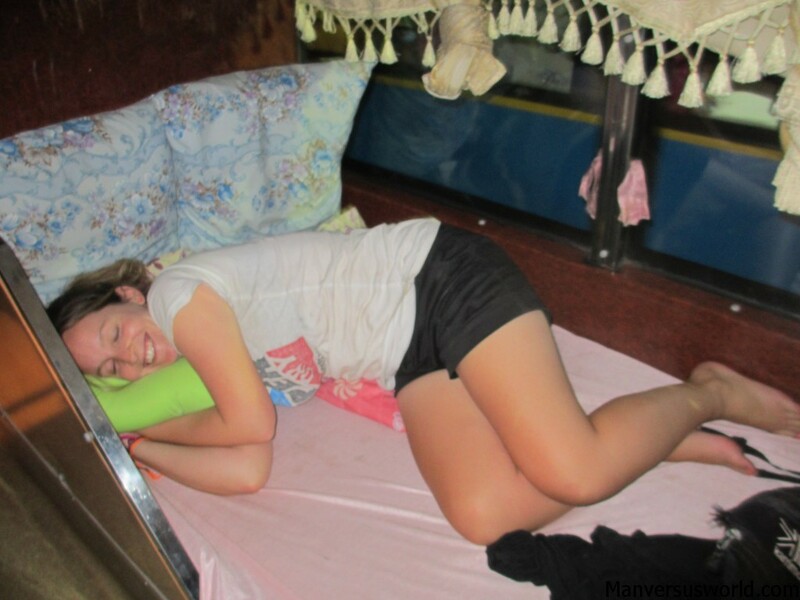 We took many sleeper busses and hardly slept, but did love the overnight train to Chiang Mai! In Laos on our sleeper bus, if you didn’t book the entire bed (2 seats) and you were a solo traveler, you had to sleep with a stranger. Our friend had to sleep with a 6ft5 random guy… and these beds were not that big! I found it funny.. him not so much! Haha, I could imagine that would be pretty awkward! Great tip! I love this post Simon, very useful. I haven’t tried sleeper bus or sleeper trains but my constant worry, perhaps, embarrassment is the fact that I snore hahaha. This post really gave me an idea what will I choose and which part will I ever sleep. Haha, I snore too! I’m the worst person in the world in shared-rooms at hostels! Thanks Wends. I love that you pretended to be on a spaceship headed to Mars! It makes the sleeper train sound just a little bit more awesome. Haha, I’m glad you noticed that small detail! Thanks Emily.